STOP the sale now! This is a PRECEDENT in sleazy hospital medicine. Anyone with the authority to end this, please do so now. Parentectomy is the removal of a child from parents who are not in agreement with the doctor’s plan. 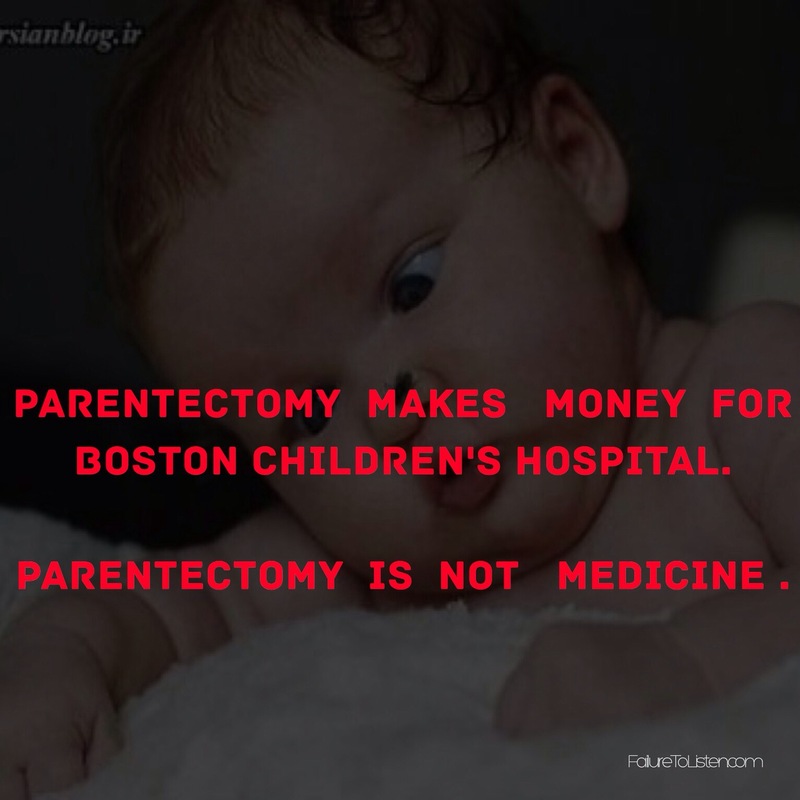 Parentectomy is a travesty, justified under the guise of medical child abuse. 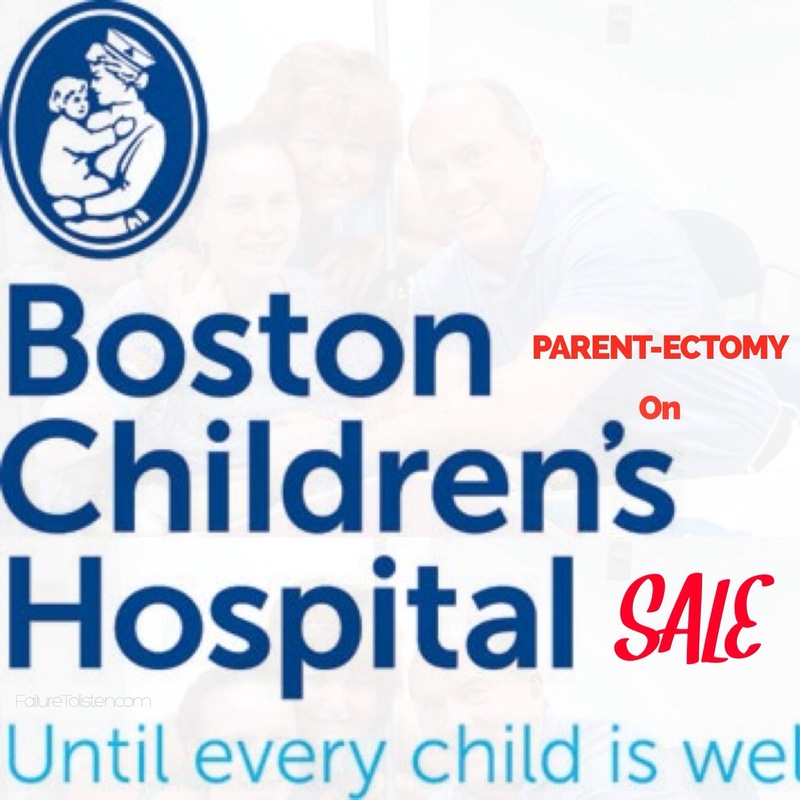 Parentectomy is on sale at Boston Children’s Hospital! The term, parentectomy, is new. Surprisingly, more are not alarmed by the actions of Boston Children’s Hospital. There are no medical justifications. Up until now, Medical child abuse has never been a reason for prolonged involuntary psychiatric hospitalization of a child. Why this rise in the number of cases? The consistently inconsistent stories told by hospital employees and their risk managers. Whatever stories are put forth by Boston Children’s Hospital (BCH) and Tufts Medical Center, remember that there are a dozen stories more logically and medically sound that do not brand patients or their caregivers with stereotypical labels, and do not assume patients have Munchhausen Syndrome nor do they remove parents as the first and only remedy. Do not be Fooled by the prestige of Boston Children’s Hospital–There is incompetence and greed everywhere. This post presumes familiarity with the Justina Pelletier case and other similar cases where insiders now use the term “parentectomy”. I am concerned about the unusually high numbers of parent-Ectomies. The term is new and wreaks of something that could become a dangerous epidemic and a surreptitiously lucrative business for hospitals. Moreover, guess what? No one is watching. The regulatory agencies do nothing — —they and the hospitals swim in the same pond. 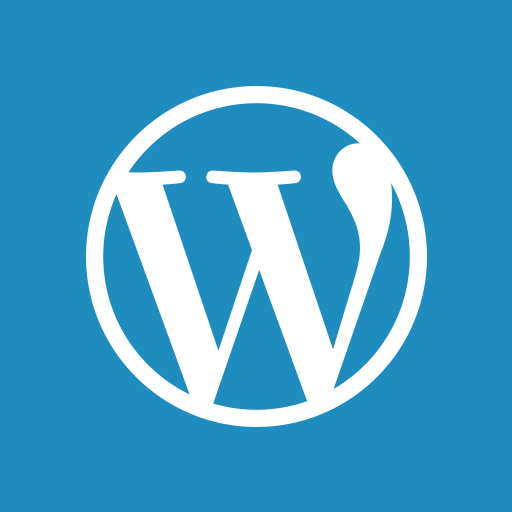 Word of caution: Tufts Medical Center’s Risk Management is not good! Their consistent inconsistency is a dead give-away of their FABRICATIONS. In addition, the medical record is no longer evidence. In the medical records, the only reliable data may be the patient’s name and DOB. The entire medical record could be false, or made up by risk management at the hospital, and there could be multiple medical records designed to hide and deceive knowing the incompetence of those paid to oversee. Patients have NO control over what is written in their medical records– hospitals and their employee’s control THE CONTENT of patients’ medical records is. When hospital employees commit wrongful acts and/or make mistakes –, their new risk management approach entails creating new medical records and creating false stories because no one will check the hospitals’ accuracy or stories despite glaring inconsistencies. Many people still trust Hospitals and their employees; doctors in particularly are considered pinnacles of society and morality and ethics–A myth. THis is a myth that needs to be dispelled. Hospitals are unaccountable. There are too many people to blame. Why would hospitals engage in these activities? Money, power, and corruption are the usual motivators, but in medicine, another more powerful motivator exists in academia: Getting Published! Hospitals know government is inept; investigations are ludicrous, such as those performed by Massachusetts Commission Against Discrimination (MCAD) and Department of Health and Human Services (DHHS). Hospitals also know that government and law enforcement have no jurisdiction over them, making hospitals above the law. Hospitals and their employees defame, lie, forge and create many medical records, yet so-called investigations lack probable cause. As with Tufts Medical Center and other Hospitals, Boston Children’s Hospital does whatever it wants to do. No one is going to STOP them. Hospitals can do whatever they want under the veil—or rather, guise—of medicine. Other doctors will not intervene; buzzwords keep them at bay. That secrecy and lack of transparency in medicine are leading to numerous unethical and illegal activities invisibly accepted by our complacence. We trust and rely on a system of justice, and on ethics in medicine that do not exist anymore. The new system is above the law and costly in more dollars. On entering a hospitals, think of the Wild Wild West and sheriffs. Each hospital makes its own rules are that are recklessly violated daily, and who cares. ? These hospitals deliver harmful medical care not rooted in medicine, science, or ethics, and which, in other industries, would be considered illegal. Patients complaints result in patients labelled crazy, intoxicated, and/or unfit parents. By the way, what research is being conducted under the auspices of the Internal Review Board and the Department of Psychiatry? I gather these fellows run the IRB, so research is rubber-stamped. 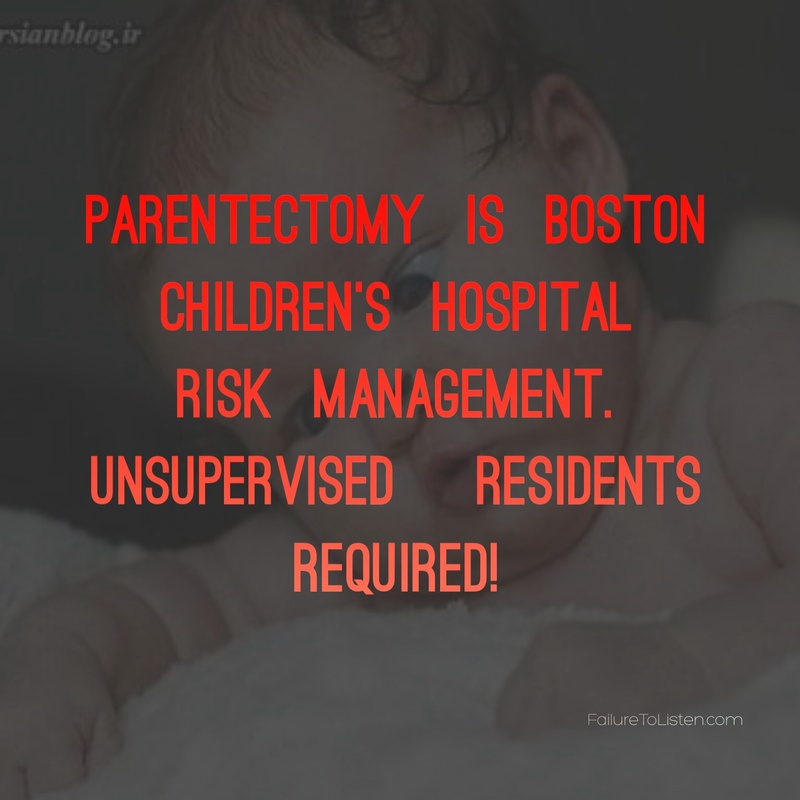 Resident physicians, and physicians poorly trained at Boston Children’s Hospital, are at play–, and they could also be responsible for decisions to perform parentectomies and/or staff defamed parents to justify such decisions. It does not matter; there is NO MEDICAL JUSTIFICATION. Look out for consistent inconsistencies in the stories of BCH and Tufts Medical Center. Do not let the prestigious name prevent common sense or deter the recognition of unethical, uncaring and inexperienced residents and apathetic doctors.